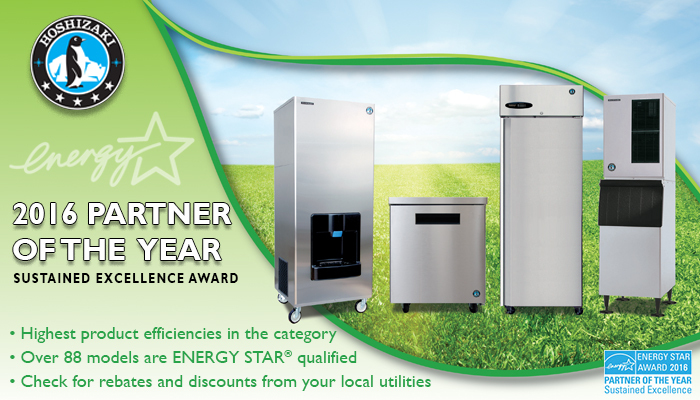 Proud to announce our latest achievement - being named a 2016 ENERGY STAR Partner of the Year! 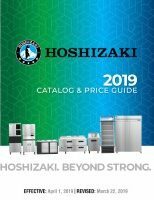 - Hoshizaki America, Inc. Proud to announce our latest achievement – being named a 2016 ENERGY STAR Partner of the Year! Hoshizaki America, Inc. is honored to receive the Sustained Excellence Award for 2016. This award is reserved for ENERGY STAR partners demonstrating outstanding leadership year over year. Our significant accomplishments over multiple years validate how energy efficiency can benefit consumers while protecting our environment. We rank the highest in efficiencies in our reported product categories for ENERGY STAR. Energy conservation is practiced in our facilities and supply chain through effective waste management and recycling programs. Many of you “took the pledge” to support ENERGY STAR in your home environment. 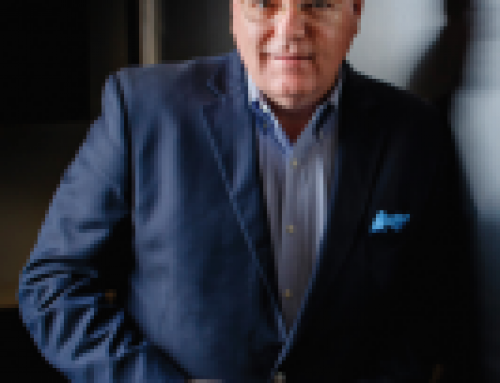 Community focused we partner with organizations which care for people and our world! 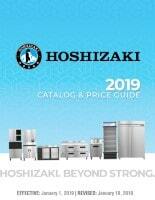 Hoshizaki is a global leader in the design, manufacturing, and marketing of equipment for the foodservice industry. Award winning products combined with an extensive sales and service network make Hoshizaki the right choice! Hoshizaki – A Superior Degree of Reliability.